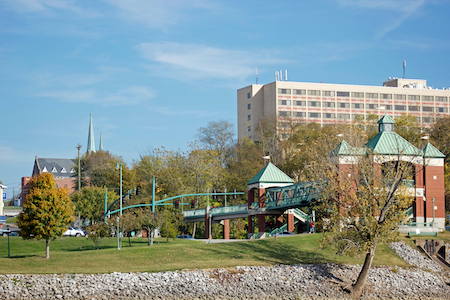 Nicknamed "Tennessee's Hot Spot," Clarksville is the home of Austin Peay State University. 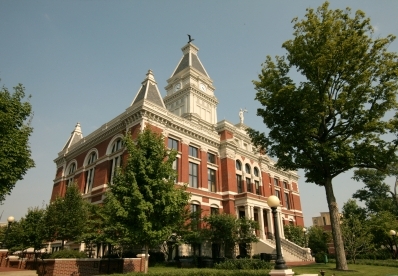 Located in western Tennessee, Clarksville, population 125,000, is a popular town because of its low cost and taxes and the many recreational opportunities available in this state. The university also adds an academic color to the community. These are some reasons why Clarksville is the fastest growing city in Tennessee. The Monkee's 1966 hit song was named for the city's old train station, "The Last Train to Clarksville." The Roxy Theatre is famous and still hosts weekly plays or other shows. Fort Campbell Kentucky is 10 miles northwest of the city. Many active adult communities are being built in the area. According to Zillow, the median home value was $158,500 in late 2018. Living in western Tennessee could be a big adjustment for someone from the northeast U.S. The average January temperature in Clarksville is 35 degrees, the average July temperature is 80 degrees. Has most of the usual chain restaurants, but very few unique places to eat. A few exceptions include: The Fish House on Route 48 south of town, Brunies (Austrian) downtown and Excel BBQ (a gas station/restaurant) on the Ashland City Road. The crime rate is slightly above average in Clarksville. Gateway Medical Center is the local hospital.